The CDLSB-902 is a USB to PS/2 adapter. 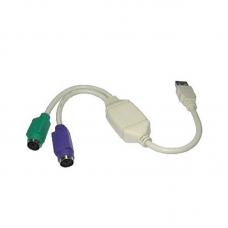 The PS/2-USB adapter allows you to use your PS/2 compatible mouse and keyboard as a USB compatible device. cougar extremeDescription The G-Force is a midi tower gaming case with a combination of metal..
Cougar Extreme Product Description Asrock B450 GAMING-ITX/AC, AMD B450, AM4, Mini ITX, 2 DDR..